Constituents: organic acids, sugars, flavonoids, resin and tannins. 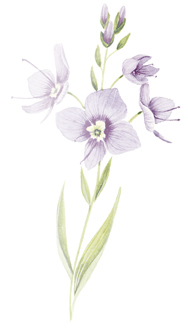 Speedwell can be used in herbal tea cough remedies as an expectorant, and also has diaphoretic (sweat -producing), diuretic and tonic properties. 1The plant is rich in vitamins, tannins, and the glycoside aucubin , which has antiinflammatory, diuretic and liver protective actions.2 Speedwell extracts can be added to skin ointments to treat eczema and help heal skin irritations and wounds. 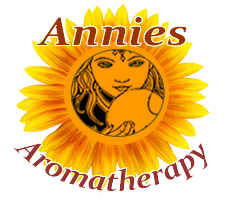 Preparation Methods & Dosage :Tea made from flowering plant, extracts, ointments. 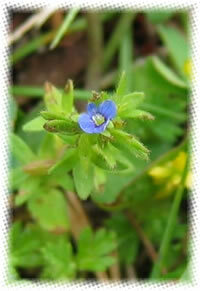 If you find this pretty little blue wildflower growing in your yard, try making an herbal tea from the flowering tops. Stem:From 3 to 10 in. long, hairy, often prostrate, and rooting at joints. Leaves: Opposite, oblong, obtuse, saw-edged, narrowed at base. Fruit: Compressed heart-shaped capsule, containing numerous flat seeds. Preferred Habitat:Dry fields, uplands, open woods. Flowers:Light blue to white, usually striped with deep blue or purple; structure of flower similar to that of V. officinalis, but borne in long, loose racemes branching outward on stems that spring from axils of most of the leaves. Stem:Without hairs, usually branched, 6 in. to 3 ft. long, lying partly on ground and rooting from lower joints. Leaves:Oblong, lance-shaped, saw-edged, opposite, petioled, and lacking hairs, 1 to 3 in. long, 1/4 to 1 in. wide. Fruit: A nearly round, compressed, but not flat, capsule with flat seeds in 2 cells. Preferred Habitat:In brooks, ponds, ditches, swamps. An ancient tradition of the Roman Church relates that when Jesus was on His way to Calvary, He passed the home of a certain Jewish maiden, who, when she saw drops of agony on His brow, ran after Him along the road to wipe His face with her kerchief. This linen, the monks declared, ever after bore the impress of the sacred features - vera iconica, the true likeness.